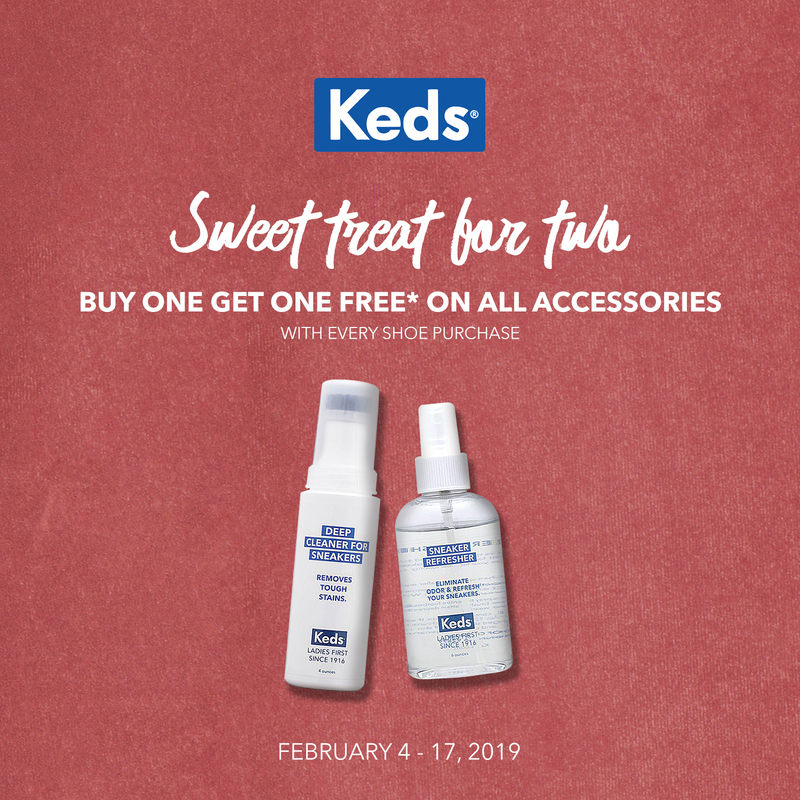 This February, Keds lovers can avail of a BUY ONE GET ONE Promo on ALL accessories! 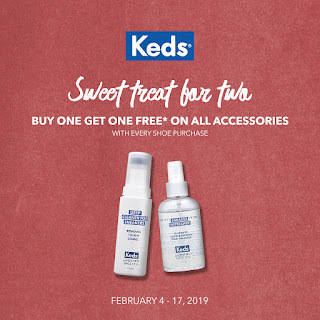 From February 4 to 17, 2019, customers who purchase any regular-priced footwear can buy one Keds accessory and get another 1 for FREE! Shop in all Keds stores, Complex Lifestyle Stores, or online HERE now! From February 4 to February 17, 2019 shoppers who would cop a pair of footwear can get a 20% discount on their second pair! 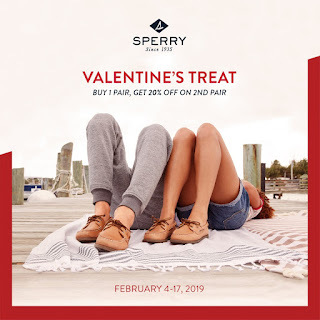 Whether you’re into classic boat shoes, casual, sneakers and performance shoes, Sperry has the right one for you. 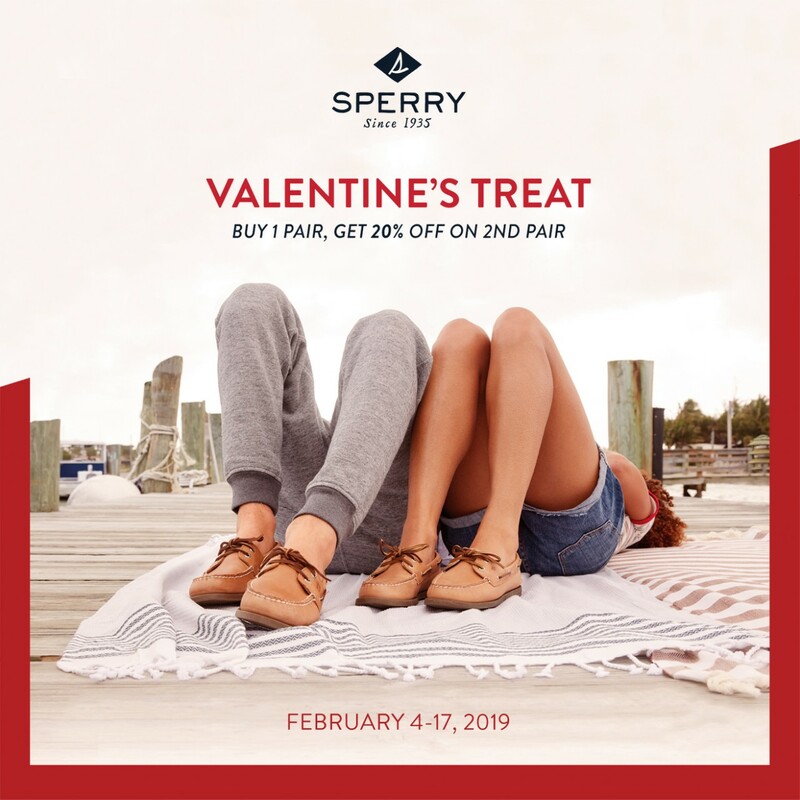 Get a pair for you and your beau when you shop at www.sperry.com.ph, in-stores, leading online shopping sites and Complex Lifestyle stores!